September is the Month for Outdoor Weddings! 1. Lower chances of rain & Gorgeous Temperatures: June is actually the wettest month in Chicagoland while September is better for temperatures (average temp of 76) and precipitation! 2. Less chance for bothersome bugs: Mosquitos are the enemy of the outdoor wedding – bugs are usually less bothersome in September than in June, July and August. 3. Earlier sunsets: Sunsets in June are late in the day making it difficult to utilize lighting and candles in your decor. September sunsets are around 7-7:30PM making it the perfect atmosphere for lots of candlelight in your dining centerpieces! 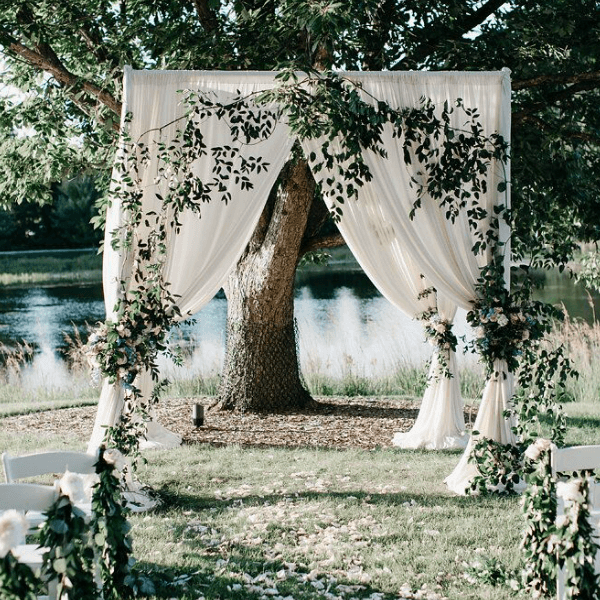 These are all great reasons to say “I DO” outdoors in September in the Midwest, but ALWAYS remember to have a backup plan for rain – this is the Midwest afterall! No rain plan means lots of unneccesary worry in the weeks and months leading up to the big day. Mother Nature WILL be a guest at your wedding, so plan appropriately. Nothing is worse than being a guest at an outdoor wedding standing in the beating sun, drizzle or wind!